Justseeds member Mary Tremonte is in Dawson City, Yukon this week to present a hanky-printing workshop at the Dawson Daily News Print and Publishing Symposium. Part of Discovery Days (or “disco days”), a town-wide celebration of Dawson City, and also the Yukon Riverside Arts Festival. On Sunday evening she’ll also talk about Justseeds during a Pecha Kucha and DJ a danceparty, all as part of the ODD Ball at the Klondike Institute of Art and Culture. Co-presented by the Dawson City Community Library, the Klondike Institute of Art and Culture, and Parks Canada, the annual Dawson Daily News Print and Publishing Symposium brings together a range of local and visiting visual artists, writers, and publishers to work in an exciting collaborative atmosphere. Workshops, discussions, readings, artist demonstrations, ongoing projects, and more aim to be inclusive, innovative, and collaborative in their focus on visual arts, literature, publishing, and heritage. 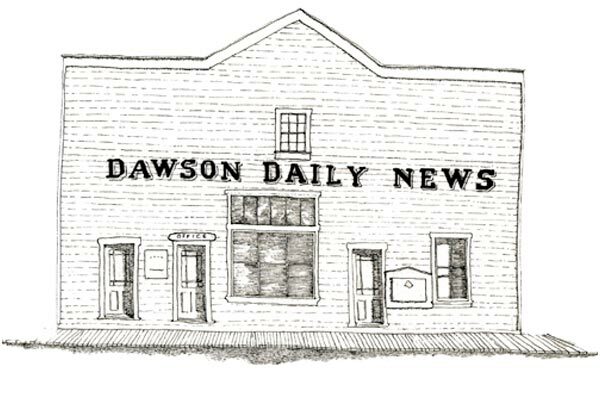 The Print & Publishing Symposium takes place in the historic Dawson Daily News building, originally active as a hub of Northern journalism between 1899 – 1954.